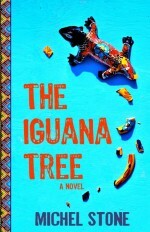 Hector and Lilia are a loving couple from southern Mexico; The Iguana Tree is the story of their journey to the U.S. to work illegally on a farm. Based on real life stories, Stone takes us to places Norte Americanos never see–sardine-packed false-bottom trucks, unsafe safe-houses, and immigrant detention facilities. The result is an even-handed story where immigrant, farm owner, and INS agent all get a fair shake.